The movie studio that built a brand out of flouting convention has become bound to the machinery of it. Though it’s headquartered in Silicon Valley’s culture of innovation, Pixar feels more and more like the risk-averse Hollywood establishment. 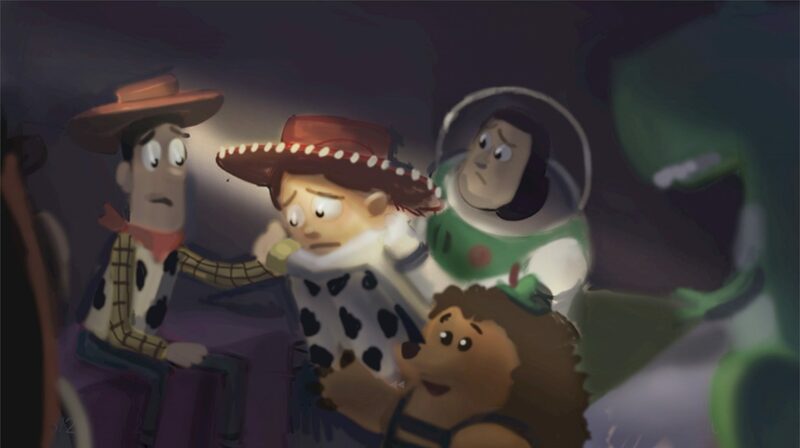 The article goes into deeper detail, laying out a case for why Pixar had to resort to making sequels to stay afloat financially, regardless of Disney’s influence. Pixar executives say it wasn’t the Disney acquisition that caused the onset of sequelitis. Since the release of Toy Story, Pixar has been steadily increasing its output and has long known that sequels would be necessary to stabilize its business. In his book Creativity, Inc., Pixar cofounder Ed Catmull calls sequels “a sort of creative bankruptcy” but notes that the company had a long-term plan to eventually develop one sequel for every two original films (the ratio right now is the inverse). This strategy allows the company to assume even more risk on its original endeavors, Catmull argues. That leaves Pixar on the precipice of a curious new era. After a thrilling run of original hits and a middle age buoyed by sequels, the Pixar of the next decade will try to regain its original imaginative spark in a climate where only mega-franchises succeed. It will also be under new leadership — likely Pete Docter, the director of Up and Inside Out, who has been integral to Pixar’s success since Toy Story. And it will have to try to retain a culture distinct from Disney Animation, which has created two of the biggest original hits of the decade in Frozen and Zootopia. You can read the rest of the article here (and I highly recommend you do). Even as someone who enjoyed most of the Pixar films of the last 8 years, including all but one of the Pixar sequels, I can’t help but feel a pang of excitement at the prospect of 3 or 4 original Pixar films coming out in a row, uninterrupted by sequels. And part of me wonders how much steam the Walt Disney Animation computer animated movies have as we’re getting a sequel to Wreck-It Ralph later this year and then Frozen 2. Can we really hope for more breakthrough originals like Zootopia or Moana? Or does this mark the end of the latest Disney renaissance? If so (and that’s a big “if”), recall what happened the last time Disney slowed down to catch its breath. Pixar sped right up with one of the most impressive runs for a studio ever, animated or otherwise. I’m fine with Pixar sequels if they mean we get Coco and Inside Out and heck, I’ll say it, INCREDIBLES 2. Well put. Now how much longer do we have to wait for a new Bug’s Life? It is wonderful that we can have the chance to keep following the histories since our kids were little. Thanks of an amazing team of new and old creators of these characters. At least the sequels offer a new story. It’s better than Disney consistently remaking all of their old movies in a seemingly endless stream, which is really starting to annoy me. I’m fine with sequel 🙂 as long as it won’t take 14 years to watch like The Incredibles. I always want more animation from Pixar. But I don’t really like Spin-off.